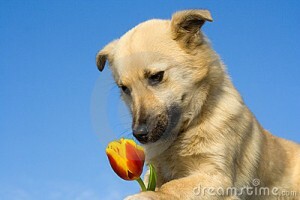 You are currently browsing the The Pet Product Guru blog archives for June, 2011. Can your dog give you scabies? Scabies is a skin disease that comprises many varieties of disease causing mites. Each variety attacks one certain species such as horses, sheep, hogs, cattle, dogs and even people. In places where people live together in close contact, such as nursing homes and hospitals, scabies can run rampant. It’s a contagious disease spread by frequent skin to skin contact or in clothes, bedding and bath towels. You could also pick up canine scabies if your dog has been infected but it’s a self limiting disease of short duration. Your kids may end up with a few itchy, red welts, but the mites will die within weeks. Your dog, however will require a trip to the vet and the proper pet medication. Your dog knows the basics. He’ll sit on command, hold his paw out when you say “shake,” and lie down when you tell him to. Now, you need him to get to the next level. Teaching a dog tricks could be a fun way to bond. 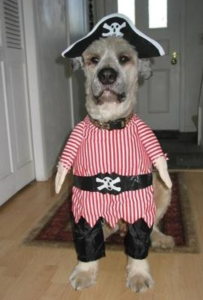 So if you want to go beyond the basic commands with your dog, Try teaching him to stand on two legs or bow. Start by giving your dog a verbal cue then reward him with a dog treat when he actually performs the action. For example, dogs often bow when they want to play or when they wake up from a nap. Then, using the dog treat and a verbal command, guide the dog to perform the action again. Remember, keep practicing, be patient and use positive reinforcement. Before long you and your dog will be able to impress all of your friends! Dogs are constantly sniffing the ground. Sometimes they’ll stir up some angry bees. It’s not unusual for your dog to get stung on his face. 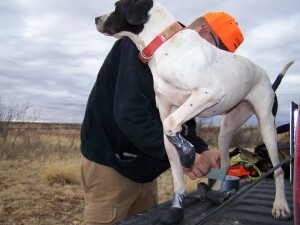 Many dogs will also swat or dig at an irritating insect, so bug bites and stings occur on the paws as well. You’ll know if your pet was stung because the affected area will swell. Most stings and bites are not serious but if your dog’s reaction is particularly severe or he develops breathing difficulty, call you veterinarian immediately. Your pet may be having an allergic reaction. For mild allergic reactions, your vet will likely prescribe pet medication such as an antihistamine or topical creme. In severe cases, a shot of epinephrine and emergency fluids may be needed. 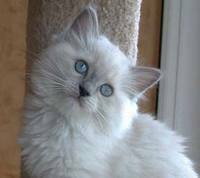 A Ragdoll cat is considered a pointed breed. This means that the body is lighter in color that the face, legs, tail and ears. Ragdolls are affectionate animals. The ideal Ragdoll is a well balanced cat with no extreme features. Altered males weigh between 15 and 20 pounds. Females are a bit smaller and weigh between 10 and 15 pounds. Ragdoll cats are slow to mature. The reach their full coat color at two years and full size and weight at four. Ragdolls tend to be more interested in humans than other breeds. They’re known to run and greet you at the door, follow you from room to room, sit on you, sleep with you and choose to be where you are. Many Ragdolls could be taught to fetch. 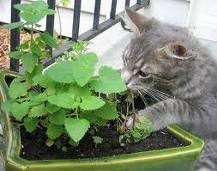 They are very gentle cats and usually play without extending their claws. Get plenty of cat toys for them to keep them occupied. They are not jumpers but rather stay on the floor. Their coat is semi long and silky and requires minimal care. Ragdolls are very well behaved and easy to care for. They fit perfectly with our busy lives. Often, dog owners neglect this basic dog care issue, protecting their paws both in the winter and in the summer. In harsh winter weather, your dog should wear protective dog boots to protect their paws against the ice, snow, cold and treatments that are put on roads and sidewalks. In the summertime, if you’re walking your dog in a rocky area, you should also protect your dogs paws by using a protective boot. Your dogs paws could suffer from cuts and abrasions . The pavement could become very hot. You wouldn’t want to walk on hot sand would you? Neither would your dog. There are dog boots that are available to use that are invisible. They will protect against bruises, blisters, cracking and abrasions. Always walk your dog on his dog leash. In doing so, you re being a kind and considerate neighbor. I know that your neighbors would not appreciate your dog digging holes in their yard, stepping on their newly planted flowers or relieving himself on their front steps. Not having a dog on a leash poses a threat to everyone. Your dog could jump on a little child and injured him, he could attack another pet or another pet could attack and injure him. If he is running free, he could be hit by a car, eat grass containing fresh pesticides that could harm or even kill him. There are too may things to mention. Yet, I still see dogs off of their leash. Be a responsible pet owner and be considerate of others. 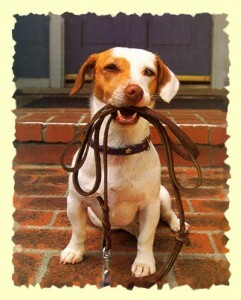 Keep your pet out of danger and always walk him on his dog leash. There is no reason to keep him off his leash unless you are in a dog run area. A purebred dog is eligible for AKC registration if it’s litter has been registered. 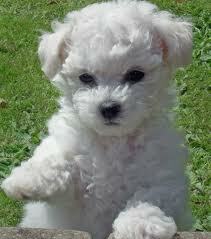 When you purchase a purebred, you should get an individual Dog Registration Application from the seller. Once the application has been completed, you should submit it to the AKC along with the proper fee. You can also register a dog online. In about three weeks, you will receive your dogs AKC registration certificate. The new owner and litter owner must sign the application. Please be sure that all sections are completed and signed properly. The fee is non refundable and is subject to change. The buyer of an AKC-registrable dog should obtain the dog’s AKC papers from the seller at the same time the dog is purchased. If a dog is delivered or sold with the understanding that AKC papers will not be furnished, the buyer should sign a statement agreeing to this condition. This agreement should be kept in the seller’s records. Information obtained from the American Kennel Club. Once this is done, you can now enjoy your new puppy and pamper him with dog toys and treats. Sometimes cats don’t know what’s good for them. 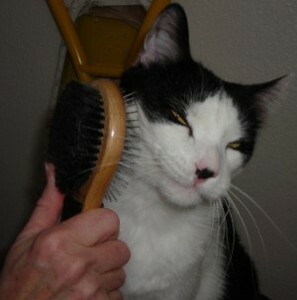 With the exception of my older cat, most cat don’t like being brushed. My older cat loves to be brushed and actually waits for me everyday to brush her. When it comes to grooming, , all cats by nature are very fastidious. Most of them prefer to groom themselves. Healthy cats spend hours each day grooming and washing. It’s recommended that long haired cats be brushed and combed once per day. If you have a short haired cat, a weekly brush will do fine. One of the reasons for brushing, is to remove the loose hair which could prevent hairballs. Regular brushing also keeps their skin and hair in good condition. Brushing removes dirt and help tangles from forming. It also helps spread the natural oils on the cats skin. If your cat goes outdoors or on the porch, regular brushing could remove any insects that may have gotten on your cats coat. So brushing your cat is healthy and useful but don’t expect your cat to see it that way. Just give her a treat or two after brushing to keep her happy! You’re finally on vacation and will be taking your dog with you. This is great but you must remember some important things before you begin your trip. Once you’re on the road, be aware that pets need breaks just as humans do. Make sure that you stop frequently and provide plenty of fresh water to quench your best friends thirst. It is very important that you don’t leave your dog in a hot car when you take a break. It’s a good idea to travel in the evening hours if you’re travelling alone with your dog. This way, when you stop, you could turn the car off, crank the window down a bit and feel certain that your dog will be ok in the cooler night air. If you have to travel during the day, try to take someone else along with you. This was you could leave them with your dog while you take a break and vice versa. Stop in an area where you could take your dog for a walk to stretch his legs. It’s a good idea to have an air conditioned vehicle when travelling with your pet to keep him cool and comfortable. Dogs generally travel well in the rear section of a station wagon or a 4 wheel drive as long as they could see outside. Safety harnesses are a good idea and are available at most pet stores, however, these are not legally required. If you keep your dog in a dog crate during the trip, make sure that it’s very well ventilated and that he has room to stand and turn around. Plan well for your pet before your trip and both of you will have a great time!